We have small, but very unique range of products which are all fully customizable to your specifications. 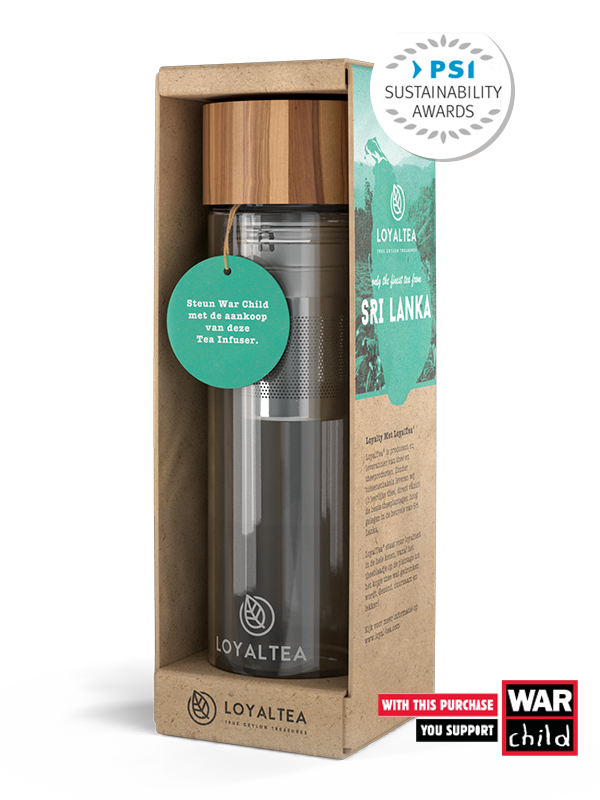 With the LoyalTea products you can advertise your brand or company in a healthy and original way! 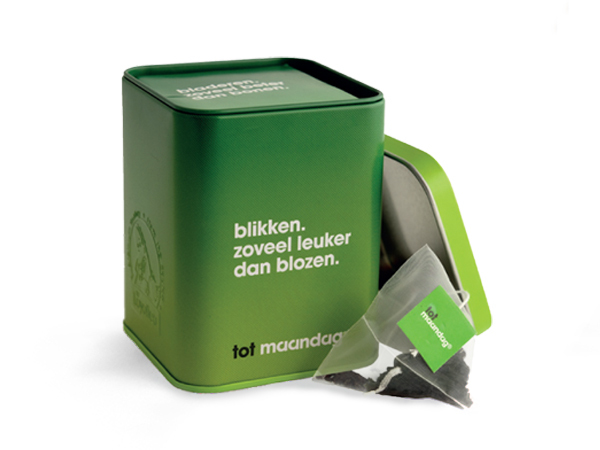 Think of your own branded tea in your showroom, in the boardroom for meetings, as a business gift, for direct Mail or use your own private tea label at trade fairs & events! 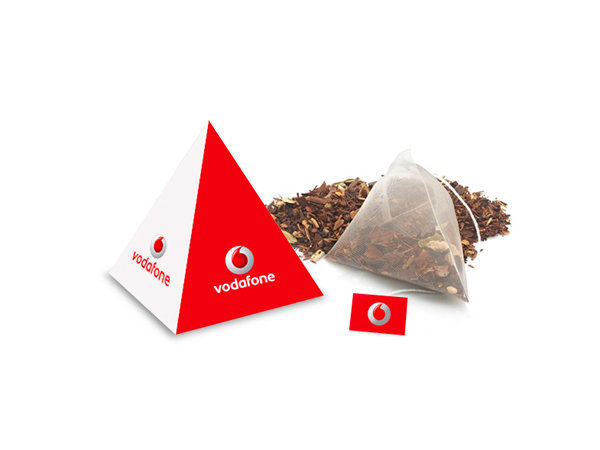 Choose from pyramid shape, box or pouch. Freshly flown in from Colombo and in your home in just three weeks. Available and fully customizable from 25,000 pieces. Thousands of companies around the world already use our unique concept and have achieved visible results. 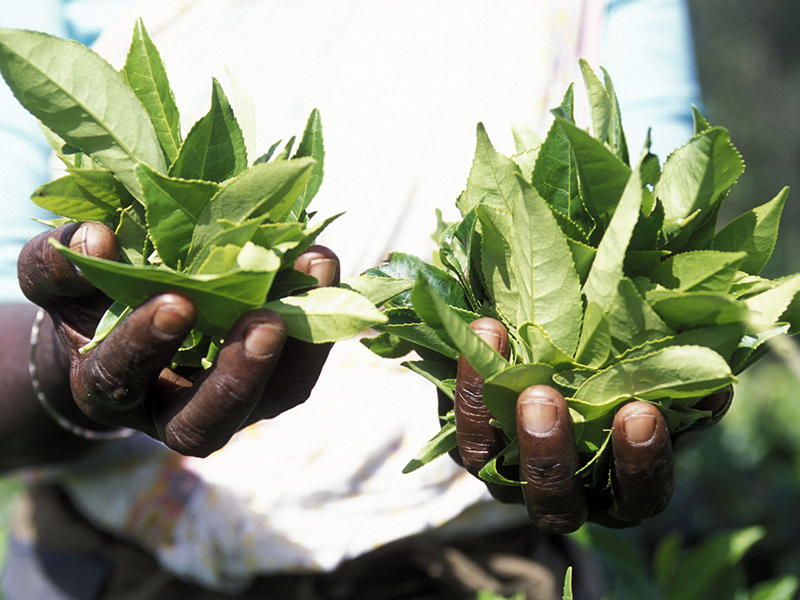 Put tea in for events, or leave a lasting impression on your business relations.